BRING THE 5 J's TO YOUR TOWN. Personal appearances availabe. 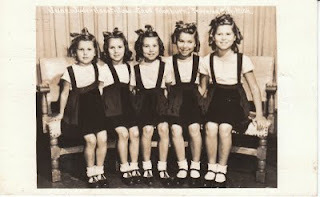 WORLD'S YOUNGEST QUINTET SISTER SINGERS. Traverse City, Michigan. JESUS SAVES. Don't fail to see the sound movie film Gospel Action Films The 5 J's Gospel Story.